A special B&B called Ecotagnes at west of La Clusaz, in France, has been built by a ski instructor and helicopter pilot, Patrice Bernard, and his son, Hugo. 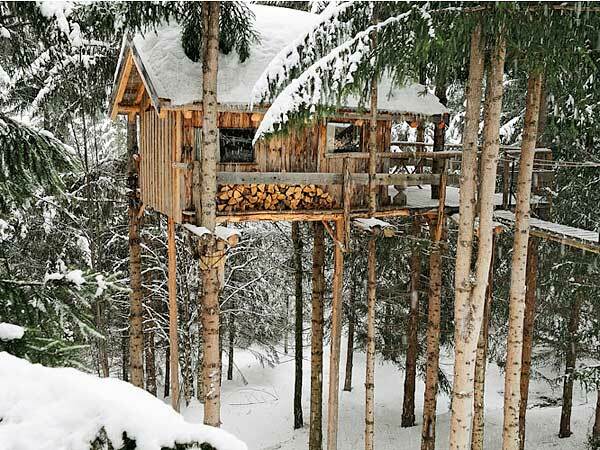 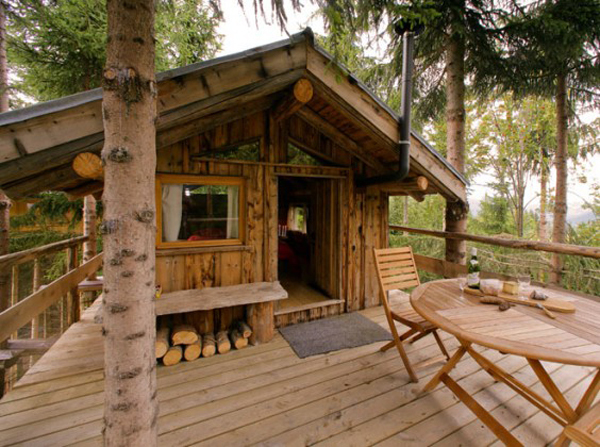 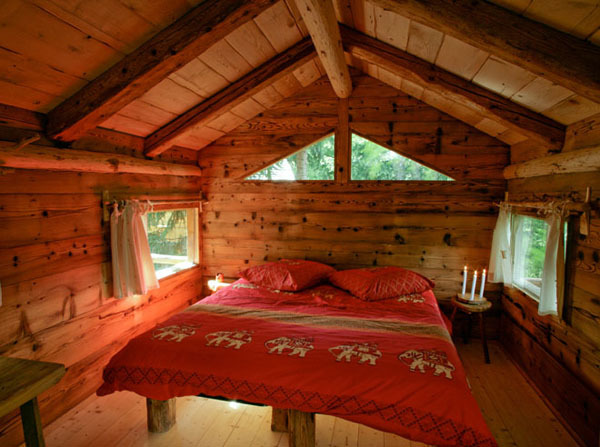 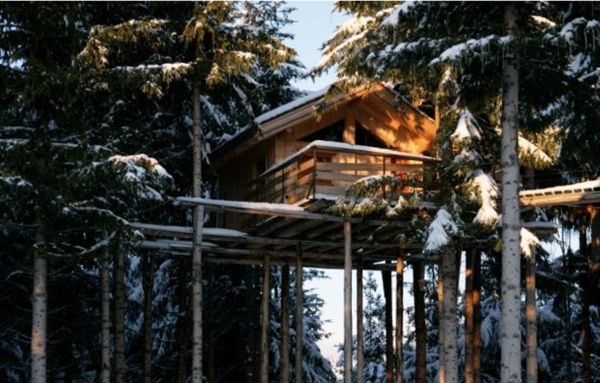 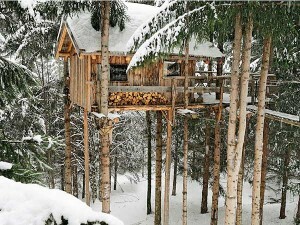 “Les Ecotagnes provides you with two separate tree houses perched 9 metres off the floor and secured to the surrounding pine trees – don’t worry, all the work was undertaken by skilled craftsmen to leave 2 wonderful cabins and, they were even thoughtful enough to put in a walkway to access the cabins so, no climbing experience necessary. 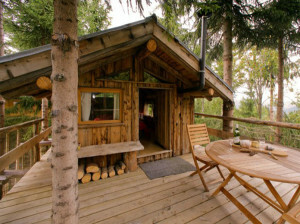 So if you want to break from the every day routine, just book and go to spend your time close to nature and relax in the wood.